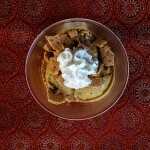 Pumpkin Pie Ice Cream for November C.L.U.E. Welcome fall and as Thanksgiving nears, C.L.U.E. is celebrating all things PIE. Here is an unusual take on this month’s theme. . . . → Read More: Pumpkin Pie Ice Cream for November C.L.U.E. What’s up next? More sweet potato recipes. More Palooza action with Pecan Praline Sweet Potato Pie. It’s a mighty fine pie. . . . → Read More: What’s up next? 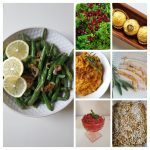 More sweet potato recipes.